Hi there, a long time ago I bought 6080 King's Castle but it came to my attention last week that I have a different types of the same bricks in the set. Can anyone tell me something more about them (BL don't distinguish them). Which of them are correct? Are you the original owner, if not, when did you buy it? If you are not the original owner, I would suspect you have replacement bricks. 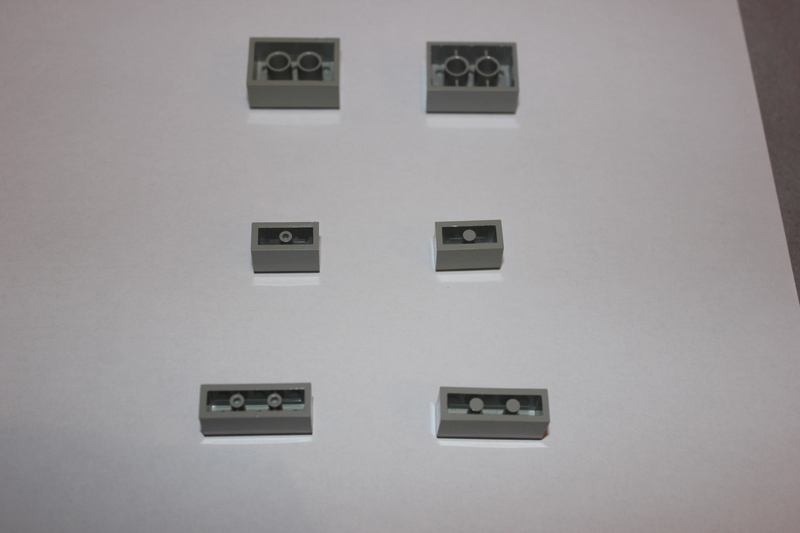 The hollow stud bottom bricks are a later version, they should be solid like the one on the left. I'm not sure about the supported version at top left. I believe that's an earlier brick but it's possible that it could have come in that set as Lego would use any brick they had left over from previous production runs to make the set. Sorry, The bricks on the right with solid tubes are the correct version. As for the 2x3 bricks, the one on the left without the supports is the older style and the one on the right with the supports is the newer. Both could have come with 6080. You'd have to look much closer that details of the bricks to see if they are really from the mid 80s. If the says ©LEGO, Pat Pend, or has writing that's been obscured on the inside those are from different eras and likely not original to the set. Regards the tubes, both types can still be found in 'modern' sets. I just opened 100 or so of #2000211, a Lego Education set released in 2015, and about a third of them had the lime 1x6s with tubes with holes, the rest had solid tubes. Some even had a mixture.